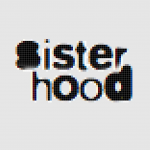 Wallada bint al-Mustakfi 1001-1091 - sister-hood magazine. A Fuuse production by Deeyah Khan. Wallada Bint al-Mustakfi was one of the most influential female poets of the medieval period. 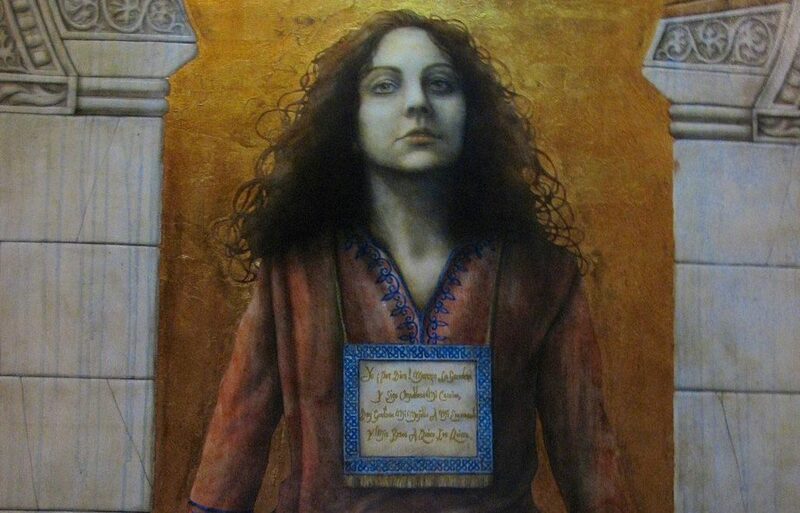 She was the daughter of the Umayyad Caliph Muhammad III, famed for her poetry, beauty and audacity in defying the gendered norms of her society. She remained single throughout her long life, despite an active sexual life. She dressed in diaphanous fabrics and refused to veil. Although legal in the cosmopolitan atmosphere of Cordoba, this contravened local and Muslim customs. She wore a cape embroidered with verses embroidered on both shoulders, proclaiming her confidence and sexuality to everyone. ‘By Allah, I’m made for higher goals and I walk with grace and style’ was written on one shoulder; ‘I blow kisses to anyone but reserve my cheeks for my man’ was written on the other. Cordoba became the capital of the Ummayyad Caliphate after 750, and rapidly became a thriving cultural centre, with seventy libraries, hundreds of free schools, stately villas and farming estates. An extravagant and highly literary court life developed within this scenario. Despite the declining power of the Ummayyads from around the turn of the century, Cordoba maintained its fascination with art and culture. Poetry and literature were discussed at regular literary salons held in the houses of the court’s noblemen. Wallada’s father was assassinated in 1025, just two years after he had himself assassinated the previous caliph. Since he left no male heir, she inherited all of his property. Wallada used his villa to open a literary salon, eschewing the traditional hijab curtain used to separate men from women at these events. This breach of conventional morals did not detract from its success; young men in particular were keen to attend her gatherings. Wallada, who was fair-skinned, blonde and blue-eyed, was considered a great beauty. One of these young men interested in Wallada was Ibn Zaydun, a poet with political ambitions who was, at the time, the friend of Cordoba’s ruler. Wallada met Ibn Zaydun at a poetry competition which was held in the city. A love affair developed between the pair around 1031, the same year in which the Cordoban caliphate finally collapsed. According to Ibn Zaydun, Wallada herself initiated the relationship by writing him a poem, reading ‘When the evening descends, await then my visit, because I see the night is the one that keeps secrets best’, – a bold reversal of the usual gendered interplay of romance. Ibn Zaydun dedicated his love poems – some of most well-known in the classical Arabic tradition – to Wallada. However, the relationship proved stormy. Her own poems to Ibn Zaydun, contained complaints about his prolific affairs, charging him with an enormous sexual appetite for both men and women. She was particularly rankled by his attempted seduction of a woman called ‘Utba, her personal slave. Wallada herself had no shortage of romantic opportunities in the Cordoban court. Since the fall of the Caliphate, the Banu Jawajr family had seized control and ruled through a council of ministers acting as his advisers. The most prominent of her suitors was a powerful minister, Ibn ‘Abdus who was devoted to her. Wallada initially repaid his devotions with satires which subtly mocked his intelligence. However, she later warmed to him. It is unclear whether Wallada took him as a lover at first, and if so, whether this was a ploy to make Ibn Zaydun jealous, or whether Ibn Zaydun’s jealous and controlling nature made him unreasonably suspicious. He responded to the implied challenge to his claim to Wallada’s body aggressively, sending Ibn ‘Abdus a cruel letter signed in Wallada’s name. Wallada, in turn, responded to Ibn Zaydun in poetry, using obscene imagery to underline her rage. Ibn Zaydun, having now alienated his allies and gained a powerful enemy in Ibn ‘Abdus, was imprisoned and forced to flee Cordoba. He spent the following twenty years in the court of Seville, composing mournful poetry lamenting the city and the lover he had left behind him. Wallada instituted a school for women to learn poetry, which often gave women from bourgeois backgrounds the ability to lift themselves into the nobility. Through this school, Wallada also took on a protégée, Muhja bint al-Tiynanni, the daughter of a fig-seller. Muhja also became a writer of profane and outspoken poetry, reflecting her patron’s style – although the women did not remain friends. Some writers have speculated that the relationship between the two women may have been sexual. In 1070 Cordoba fell to Seville and Ibn Zaydun, now 67, visited Wallada, now 69, for a brief reconciliation. This failed to rekindle any of its former spark. He died the next year in Seville. Wallada and Ibn ‘Abdus remained lifelong friends. They regularly visited each other in their old age. Despite a life dedicated to teaching and writing poetry, a bare handful of Wallada’s works survive: a woman who lived life so passionately and fearlessly was unlikely to be popular with either the Catholic or Islamic scholars who recorded the history and culture of the period. Therefore, she is often compressed into the role of Ibn Zaydun’s muse and lover, her own writing and her personal accomplishments ignored.